She spent most of her life on the street, homeless, penniless, no family. This was until she ran into Chris, who quickly took her in. She didn't remember her name, or if she even had one. 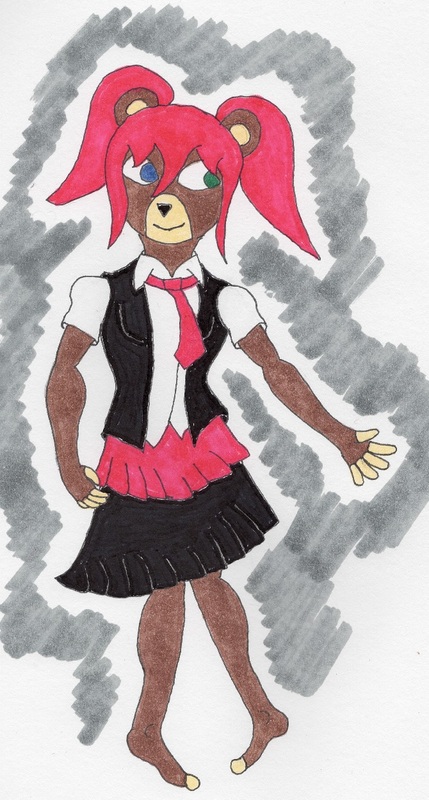 Her current name comes from a popular Solian punk band singer of which she fell in love with the music of when Chris and Mangle took her to the mall to buy her clothes.